// These are actions you can unhook/remove! Thank for the clear explanation videa’s. I’ve managed to add some content to my order processing email. 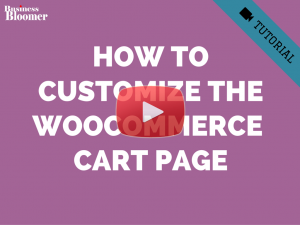 Only adding when I try to add content in the footer using hook woocommerce_email_footer, it will display the content even under the footer instead of in the footer. What am I doing wrong? I would like to know if it is possible to change the text in the email template without overriding the whole file? Does that mean that the issue is limited to $email or every do_action(~); that contains it? Your assistance is most appreciated. Hey Luan 🙂 The issue is with your theme, you need to update it or switch to another one. I want erase the link “View my bookings →” of the email that receive the client. I don´t know how do it. Hi Rodolfo, Fantastic guide – thank you! I have a question. Orders with both downloadable and shipped products show these in two distinct tables; are there hooks to only target the ‘downloadable’ items table? I’ve scoured the code but I feel like I’m missing something. Thanks for all your great content! 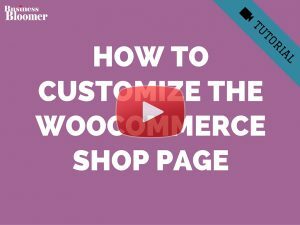 please help me i want to add product weight at bottom of product title in woo-commerce emails. Hi, if we have to add text we have no option but to edit the template ( of course by copying the template into the child theme ) ? or is there a way to achieve the above with hooks? But I see the message on all email templates. How to only show the content on the “Completed order” template ? Can I add email for new user notification? When a new customer sign in even if he did not make an order, I would like to get a notification email. Is that possible and how ? Hi, it is possible to make a hook, where the email that is sent to the customer after making a purchase (customer-on-hold-order.php.) Also reaches an email that I define? Hi Rodolfo is possible hide billing_company field from emails? First I would like to say that you have a very important site. 1. Add the regular price above the price (with strike through)? 2. 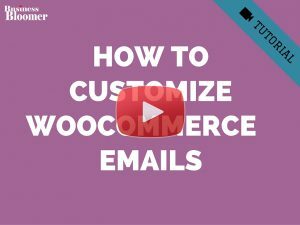 Add the total discount for the order in woocommerce_email_after_order_table? Hey Sam, thanks for your comment! 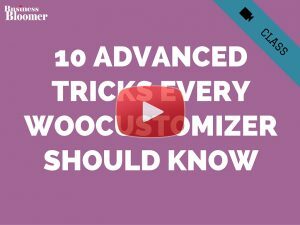 I can’t help I’m afraid as it is custom work, however have you watched my tutorial yet: https://businessbloomer.com/customize-emails-woocommerce/? I wanted to add a footer image to my e-mail template. Is this complicated? Hey Agnes, thanks for your comment! 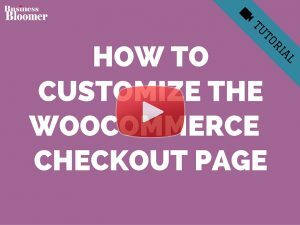 You can place your customization in your child theme’s functions.php file – if you need more guidance, please take a look at this video tutorial: https://businessbloomer.com/woocommerce-customization-hangout/. Hope this helps! Hi Rodolfo, what a great info here in your awesome blog. I am new to all of this, but with your help I have been able to accomplish quite a few things. I am having a bit trouble of adding the product images to the email notifications. Is there a snippet or code for that function to work? Hi Rodolfo, i’m looking for a way to put, in the new order email, the product variation description (the one appears here when you choose a box type… (https://www.naranjascostadelsol.es/tienda-de-naranjas-online/naranjas-de-mesa-mandarinas-y-aguacates/). 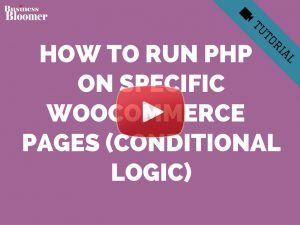 I spent a lot of hour to look for something valid but …no way…still searching… but now i fond your post here…and it seems i should work on woocommerce_order_item_meta_start… but i have no php skill…so do you have a snippet to do it? Wow. That’s exactly what I was looking for! Thank you! Is it possible to use hooks/filters to change the text which says: “Your order has been received and is now being processed. Your order details are shown below for your reference:” which appears at the top of the customer processing email?. Hey Andy, thanks for your comment! 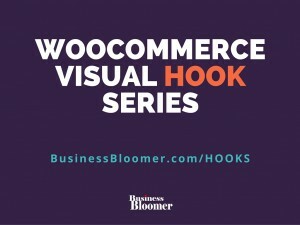 There is no filter to change that string, but I would recommend you try with this: https://businessbloomer.com/translate-single-string-woocommerce-wordpress. Let me know if it works! That looks great I will have to try it. which is sent in the new account email. Many thanks for creating an account with us, we’re delighted you’ve chosen to shop with us. copy/translate over to the new string ok and ? Andy, with the translation snippet I referenced, you can totally translate “Thanks for creating an account on %s. Your username is %s” as a string. Only thing is that you have to maintain the order of the “%s”, so you will need to mention the shop name before the username. 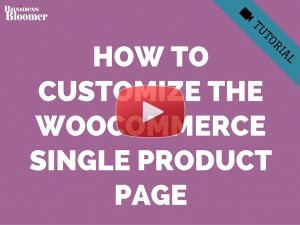 Otherwise, You will need to override the whole WooCommerce template. Hey Rodolfo, loved your webinar yesterday, thanks. I hope you can point me in the right direction as I can’t find the answer to this anywhere on your site but I’m sure you have probably covered it somewhere. and contains rows showing Subtotal & Total. Hi Rodolfo, just a quick update. Also, this might have been done without this duplication I believe (remember, duplicating templates should be done only when strictly necessary). Don’t fret – it wasn’t the core file but in the child theme. Thanks for checking. Ah, awesome Mark 🙂 Glad about that! Thanks for following up. Thanks for this very detailed tutorial / guide. Is there any way we can add a custom image next to the text where “New customer order” is mentioned? You can easily add content above or below, but doing it beside it’s pretty complex as there is no official hook. 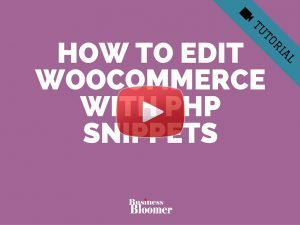 You might need to override the email-header.php in your child theme (not recommended), or maybe use the filter “woocommerce_mail_content”.